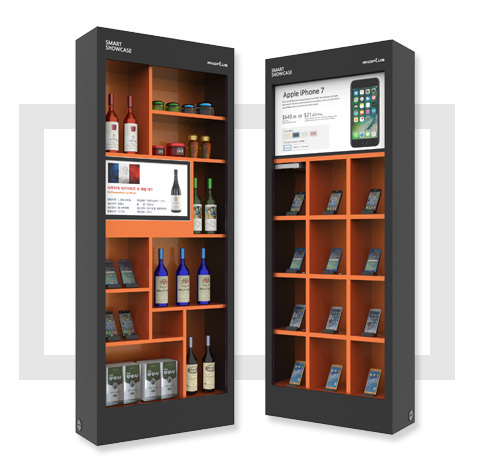 It is a brand that refers to unmanned digital sales/promotion system, which is a smart solution that substitutes in store sales promotion related personnel due to expansion of unmanned store. Maximizing the advertising effect and target revenue growth by providing the product advertisement or product information as a target through touching the product that customer is interested in or recognizing the behavior. Occurs customer’s store breakaway and sales loss by the not well trained store staff not delivering the information regarding the product or by making the customer who is shopping to feel burden due to excessive tout behavior. 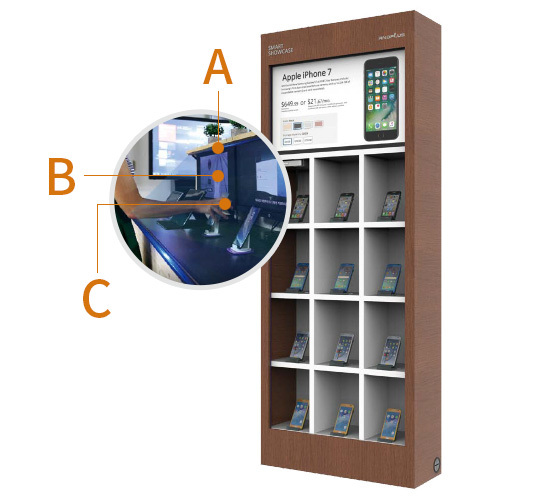 Smart Showcase can be easily installed in anywhere in the store as it is stand-alone type structure. 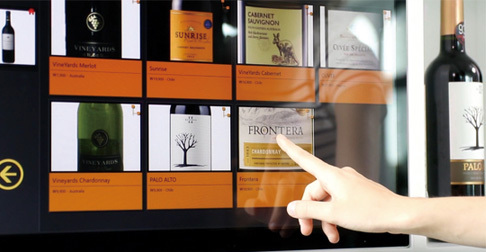 The customer that visits the store may check the product information with only touch without the guide of the staff. 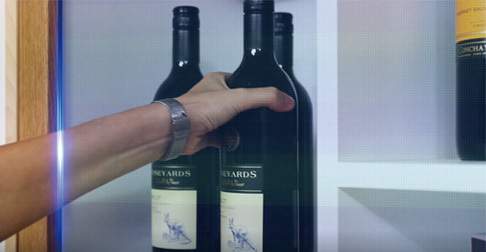 As it is mounted with spatial recognition system of Smart Showcase on the frame, it senses the customer touching the product that they are interested in or the behavior of holding it. The information about the product can be identified easily without the help of the staff for the information contents of the product that the customer is interested in through the linkage system with real product. Additional detailed information can be seen when the customer wants more detailed information by touching the monitor screen. 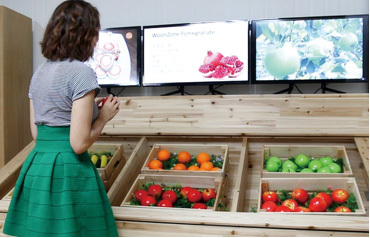 Cost saving and customer service effect can be maximized through unmanned sales/promotion function, AI based voice synthetic and multi-language support. It is a system that provides increase of targeted sales by maximizing the advertisement effect through targeted provision of interested product’s product advertisement or required adequate information after recognizing the behavior of the customer touching or holding the interested product. By providing the information required for product sales on the system in a natural technique, it provides 24 hours unmanned sales/promotion support service even without hiring the trained sales helper. Provides effective product sales function than human through AI based voice synthetic, multi-language support and others. 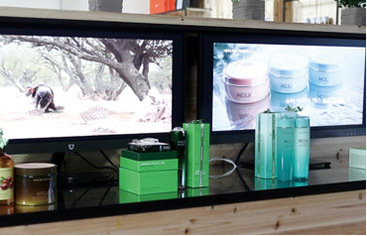 Untact marketing, it solves the disaffection of the people that recognizes sales staff’s product promotion behavior as tout behavior, and is a function that provides convenient unmanned product information to personal and sensitive customer. 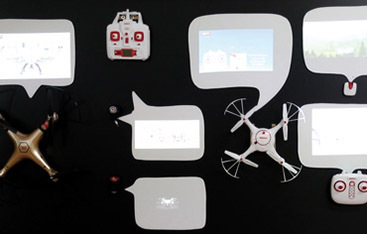 Application of AIRTOUCH system, the first introduced and developed as government task, that recognizes the space and with the intelligent product sales/promotion support product that is mounted with PlatKOM™(PlatformCX COMMUNITY) operation system of platform type that has outstanding scalability, is a smart product that helps the employer to set differentiated store operation strategy such as automatic on/off function according to the operation time of the sales store, the function that explains the product to the customer with voice, remote management function based on cloud connected by network and others. 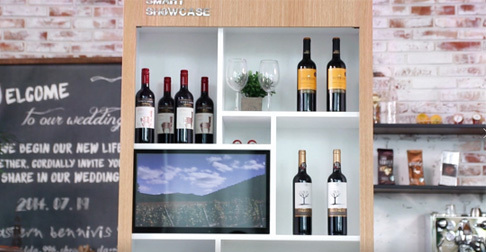 Unlike the general touchscreen that uses the plane space, the front frame of Smart Showcase is mounted with the air touchscreen system, which is developed as a government task, which enables various space utilization. 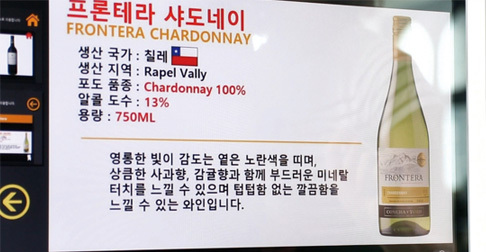 As this is displayed on the screen according to the user’s movement, it does not do unilateral information delivery towards unspecified majority, but is possible to provide customer customized information, and as it can be easily installed to previous equipment, it can produce various kinds of directions according to the situation of the seller. 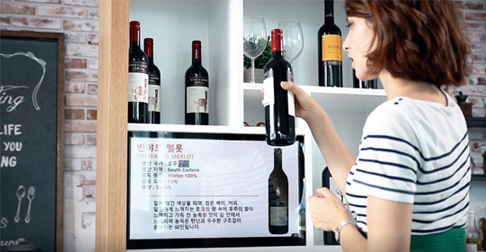 The air touch screen system senses the user’s movement, and as it displays the product/goods information that the customer is interested in on the screen, it is possible for the customer to know the desired information easily without the help of the store staff. 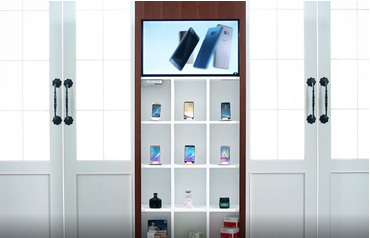 ※ The company customers that does SMART SHOWCASE as ODM/OEM product supply and parts business purpose can receive technical support if you visit the headquarters. 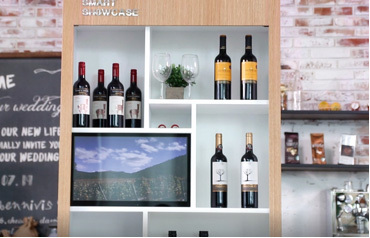 ※ SMART Sales Machine is the platform software for SMART Machine built in SMART SHOWCASE, and is operated by mounted in PlatKOM™(PlatformCX COMMUNITY). #610, Ilsan Techno Town, 138 Ilsan-ro, Ilsandong-gu, Goyang-si, Gyeonggi-do. COPYRIGHT(C) RNDPLUS Co, Ltd All rights reserved.